ATP Science, Australia’s “Best” Supplement Company OR just a bunch of snake oil salesmen disguised in lab coats? This opinion piece is intended to shed light on the marketing tactics that many supplement companies’ employ as means to sell their product. Tactics that are arguably misleading and misinforming the public and consumer base by advocating pseudoscience dressed up as genuine science. The supplement industry has been growing rapidly over the past decade, supported by rising consciousness among health and fitness enthusiasts looking for ways to bolster their efforts in the gym. These trends have driven the supplement industry growth with revenue expected to grow at an annualised 3.4% over the five years through 2018-19, to $530.0 million in Australia alone, and to USD 278.02 billion by 2024 worldwide. These figures are staggering and thus demand for greater investigation into the products manufactured by supplement companies is required. Consumers must be informed, protected and armed with sufficient knowledge and intel to decipher the claims and hype surrounding many of the products they consume. In many cases, not only are these products founded on very little to no high quality scientific evidence, but are designed to confuse and misconstrue basic physiology and dupe consumers into purchasing products that yield little to no actual benefit to their health and fitness. For what is often a sizeable investment, many of the supplements on the market (excluding efficacious products such as protein powder, creatine, caffeine and some health supplements such as vitamins and minerals) are potentially dangerous and quite simply not worth the investment. This article will be an analysis and investigation into of one of Australia’s largest supplement companies ATP Science, and will outline the tactics they and other supplement companies use to corroborate ‘evidence’ to substantiate many of the claims made on their most popular products. No doubt they have taken the supplement world by storm with their extensive line of “cutting edge” products, and at the same time have established a sizeable die-hard fan base who could only be described as cult-like. While ATP Science promotes an image of a company grounded by evidence (science is in their damn name), when investigating the efficacy and claims made by this so called scientific company, one could only accurately label their network as a group of pseudoscientists, or quacks. To most recreational lifters seeking to look a bit better naked however, it may be difficult to discern fact from fiction when it comes to the wild claims made by ATP in many of their products. The guys working at ATP are by no means unintelligent, they are extremely skilful at using techniques to twist the body of science, draw on scientific terminology to seemingly increase legitimacy of their claims, and consequently push their sales agenda. 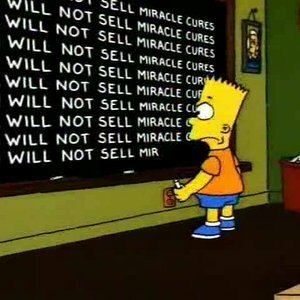 Before I discuss some of ATP’s key products and the holes in their claims of efficacy, I’m going to review some of the tactics’ pseudoscientists (snake oil salesmen dressed in lab coats) use to counterfeit the scientific method as a way to increase credibility of an unverified claim or product. This will provide more context when we dive into the individual products. Misapplication of real science: Pseudoscientists will often reference studies while making false conclusions that cannot be or were not derived from the results. They will also commonly apply scientific principles to inappropriate topics, meaning take a study finding and extrapolate it to a situation that is unsuitable e.g. using rodent studies to promote a product or claim for humans, but the same result was not replicated in human trials. Ignoring settled issues in science: Pseudoscientists will often attempt to introduce new science, products and claims without addressing (or ignoring) the existing body of evidence. Excessive logical leaps: Pseudoscientists will often engage in excessive logical leaps when the actual data is insufficient to support their desired conclusion. Focusing on the fringes: All science has anomalies. Yet looking at the body of research as a whole will support a predominant theory or understanding. Pseudoscientists will often focus on the anomalies and try to present these edge cases as a replacement to existing knowledge. With such techniques in mind, I’m going to critically examine some of ATP’s most popular products for cases of pseudoscience (making something appear evidence based when it’s not). First product off the ranks, Subcut. The manufacturers claim that this “fat loss” cream took 20 years to develop, but I’m not impressed. Their claim to magically spot reduce body fat by rubbing the cream on certain “stubborn” areas is supposedly due to two main herbal extracts. They’ve also thrown in some black pepper as a “potent thermogenic” and an antioxidant Du Zhong. I’m not going to discuss why black pepper is a weak (at best) thermogenic, or why antioxidants are ineffective fat loss supplements because this write up would get out of hand. Let’s stick to the active ingredients and look at the two herbal extracts which are claimed to enhance lipolysis and fat breakdown. The first herb off the block is something called Coleus forskohlii (CF). The theory behind CF is that it causes stimulation of fat burning enzymes (cyclic AMP) leading to enhanced fat loss. Since CF’s discovery, it has undergone a handful of studies related to weight loss, and the results are less than convincing (and if you think a handful of studies on a supplement is nothing, well you’d be right). 2005 work by Godard and colleagues reported greater decreases in % body fat with 12 weeks of daily 250mg CF supplementation compared to placebo. It is worthwhile to note however that this study was funded by the Sabinsa Corporation, the principle source for CF in the United States. While source of funding alone should not be an adequate reason to accuse of foul play, when there is a lack of unbiased studies supporting the same conclusion, or studies showing alternative outcomes, it’s worth at least interpreting this study with caution. In a later study by Henderson and colleagues, the same dosing protocol of CF provided no weight or fat loss advantage compared to control. In 2010, the International Society of Sports Nutrition stated that more research is needed on CF before it can be recommended as a weight loss supplement. Magical ingredient number 2, is silybin (which is just an extract of milk thistle but silybin sounds way more exotic). From my database searching, I could only find one single study (done on rats) testing silybin, which showed greater decreases in subcutaneous fat pads when compared to control. Now we know that the failure rate between rodent studies and human trials is > 90% for drugs and supplements, so the odds are already extremely favoured towards a null effect in people. So, I find it very difficult to comprehend how ATP can claim potent fat loss inducing benefits of this ingredient, when silybin has never undergone a human trial. The research supporting the efficacy of Subcut is less than resounding, yet we have a militia of physique athletes rubbing this stuff on like it’s cocoa butter. ATP are clever though, think back to the techniques of pseudoscientists…they misapply science to support their agenda and make excessive leaps from the extremely limited studies we have available. Maybe these ingredients do work, but on the basis of the evidence it’s unlikely, and certainly not worth dropping $70 a tube. ATP haven’t stumbled across a unique combination of ingredients that combine in some synergy to “cut up and get shredded” (yes this quote is from their website). It seems they have just built a crafty marketing strategy targeted towards people frustrated with their fat loss efforts and willing to try anything. CLA got super popular a few years ago when some rat studies were published showing body fat was significantly reduced in supplemented rats versus control. These were massive differences in the sphere of 40-60% more fat loss. But remember when I said the failure rate of rodent to human trials for supplements is > 90%? Yep you guessed it, we saw underwhelming results when tested in humans. In the most recent meta-analysis of human trials , 3.2g of CLA daily resulted in a measly 50g of extra fat loss per week. So it’s quite clear that the magnitude of benefits in humans is far less than rodents. CLA probably has a small benefit for humans assuming that the appropriate daily 3.2g dose is reached, but of course ATP uses a proprietary blend on the label, so you have no idea how much CLA you’re getting anyway. Another thing we need to consider is the cost:benefit ratio, at $60 for 37 servings, with low likelihood of marked benefits, the cost to benefit ratio is high cost to low benefit. On the ATP website, pomegranate seed oil is supposed to increase fat burning and improve insulin resistance. However, we have no human trials to support those claims. In a 2010 study by Mirmiran and colleagues, 4 weeks of 400mg pomegranate seed oil taken twice daily caused no weight or fat loss, and no changes in markers of insulin sensitivity. According to ATP’s website peppermint oil enhances thermogenesis and fatty acid oxidation. If you scroll down to the bottom of their webpage, you’ll see almost 40 different references which are supposedly “supportive” of their claims. I went through every reference, not one shows any link between peppermint oil consumption and fat loss, in animals or humans. Half of their references were incomplete as well and look like they’d been written by a first-day undergrad (don’t believe me, check the link below). Another classic tactic used by ATP to create false credibility, the average consumer without a Bachelor’s degree goes to the website, sees a bunch of listed studies, and automatically generates the conclusion that “oh well this product must be evidence based with all that data”. But, on closer inspection of these studies, it’s all just bells and whistles. It’s worth noting there was a study published in 2013 by Meamarbashi and Rajabi, which suggested peppermint oil may improve exercise performance. 10 days of 0.05ml peppermint oil for 10 days improved time to exhaustion on a graded treadmill test. However, this study has a huge limitation in the fact that there was no placebo control group. We know that performance can improve purely from “believing” that a product works (de la Vega et al., 2017), so it’s very possible that the participants just improved out of a placebo effect, and unrelated to the peppermint oil itself. Given that performance-enhancing properties of peppermint oil have not been shown in other studies, this is definitely reasonable to conject. As a final note, we do have some research to suggest peppermint oil at 0.1-0.2ml may provide cognitive enhancement. However, I speculate that the extremely large majority of buyers are purchasing for the supposed fat loss enhancing properties of the product. If you are looking for the cognitive benefits, I’d suggest buying pure peppermint oil which will set you back $16 for 100ml, almost a quarter of the price of AMP-V (link below). Grapefruit seed oil is another one of the proposed fat loss ingredients. In one study, consuming half a grapefruit 3x daily for 6 weeks caused an average weight loss of 0.61kg. However, the standard error was a whopping +/- 2.23kg, which means some of the participants actually gained weight. In another study, 1.4g of a mixture containing grapefruit polyphenols for 12 weeks reduced body fat from 30.7% to 29%. So, it’s possible that grapefruit may have some weight loss effects, however the results will be mild at best. According to examine.com, it also appears that whole grapefruits are more effective at reducing body weight than the grapefruit extracts. MCT’s are praised as an alternative faster energy source compared to long-chain triglycerides (LCT’s). It’s also reported MCT’s are less likely to be stored as body fat because of their rapid hydrolysation into energy. While MCT supplementation might have a mild performance benefit for long-distance endurance athletes (similar to the proposed benefits of a ketogenic diet for these athletes), performance advantages have not been observed with strength training, or with any exercise modes involving frequent high intensity efforts. In regard to fat loss benefits, a 2001 study by Krotkiewski showed a greater decrease in body weight and fat in a group supplementing with 10g of daily MCT. However, this was only when the MCT’s replaced the LCT’s in the diet. I speculate that when consumers purchase and use AMP-V, they are not synchronously reducing LCT intake as well, so it’s uncertain whether a fat loss benefit would still be observed. Additionally, in this study participants were dosing 10g of MCT daily. The total dose of AMP-V is 2g, so it’s extremely likely the MCT dose provided by ATP is too small to do anything. If you’re really set on MCT….you can buy A LITRE off Bulk Nutrients for $33. So here we have another case of ATP making outlandish claims based on weak (or no) evidence. While I’m not convinced the data is even close to remarkable for this product (and I wouldn’t spend a dollar on a gallon of AMP-V), if you are still somehow drawn to these novel ingredients why not just buy the individual ingredients themselves? ATP are marking up prices on individual ingredients in the sphere of 200-500%. As a final knife in the chest, ATP’s website claims that AMP-V is both great for “cutting” AND “bulking”. A fat loss product for bulking? Interesting, sounds more like another standard marketing ploy to get their consumers buying AMP-V year-round. Another issue with collagen protein is the low leucine content. While ATP claim that their inhouse studies showed 3x more muscle growth with collagen protein than whey, a recent study by Impey and colleagues showed the complete opposite. Whey was superior to collagen for increasing p70S6K1 activation, a key signalling component of the muscle protein synthesis/anabolic pathway. ATP like to often reference a 2015 study by Zdzieblik and colleagues which showed collagen supplementation and weight training was better than weight training for elderly men with muscle wastage. This should not be surprising, giving these guys more protein (albeit low quality) will be better than nothing. The key issue here is that the evidence tells us whey would be superior (however this is counter to the claims made by ATP). As a final note, ATP’s “Research” page on NoWay has to be applauded for pure manipulative skill. They have a tonne of graphs, tables and figures of these “studies” which compared NoWay to other protein sources like whey and milk. Yes, as you would expect, the results showed a remarkable muscle gain, muscle power and even fat loss benefit to the NoWay condition. Here’s where it gets shady, and this is a classic case of pseudoscience (I’ll refrain from using the word fraudulence). While ATP state that these studies were completed in 2014 and 2015, the findings still remain “yet to be published”. I was also unable to track down any of these studies using the NoWay BodyBalance product through any University database. Make of that what you will, but if a study is completed over 4 years ago and we haven’t seen results published in a journal…it’s worth raising a few eyebrows. So, all that said, its likely better to save your money. I assume most of the buyers are just wanting to look better naked and that they’re not spending $75 a tub to help with chronic pain. If so, collagen protein is not a wise choice, it has one of the lowest quality protein quality scores on the market, and is inferior to whey for promoting muscle growth, but with more cost. The purpose of this article is to highlight to fitness enthusiasts the importance of critical thinking to decipher between scientifically proven and pseudoscientific supplements. More importantly, ATP are not alone in their use these tactics, and that they and other companies do have some products that are efficacious and backed by scientific research, such as creatine monohydrate. Consumers shouldn’t believe everything they read, and should be on the lookout for pseudoscience that is dressed up as real/genuine science. Gutright….Cort RX….T432….you’re on my radar.